Grew up with KK Timing and KK Napredak Rubin Krusevac (Serbia) youth teams. Signed for the 2006-07 season by BC Partizan Belgrade juniors. Signed for the 2009-10 season by Mega Vizura. Back to Partizan Belgrade for the 2010-11 season. .played there till March'12, signed for the remainder of the season by Mega Vizura. Moved to Italy for the 2012-13 season, signed by Pallacanestro Biella. On February'13 moved to Kazakhstan, signed by BC Astana. 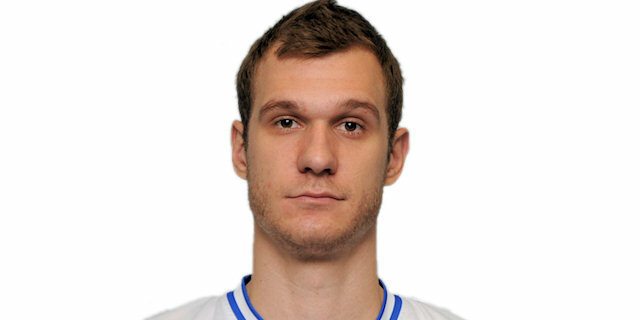 Moved to Poland for the 2013-14 season, signed by PGE Turow Zgorzelec. Won the 2012-13 Kzakhstan National Championship with BC Astana. Won the 2013-14 Polish National Championship with PGE Turow Zgorzelec. Won the 2013 Kazakhstan National Cup with BC Astana. Won the 2014 Polish Super Cup with PGE Turow Zgorzelec. Won the gold medal at the 2009 European U-18 Championship.